Having arrived at Harrow-on-the-Hill into platform 5 just over one hour late, Train 746 then reversed into the siding, now with Met No. 1 leading the entourage with 9466, 20142 and 20227. 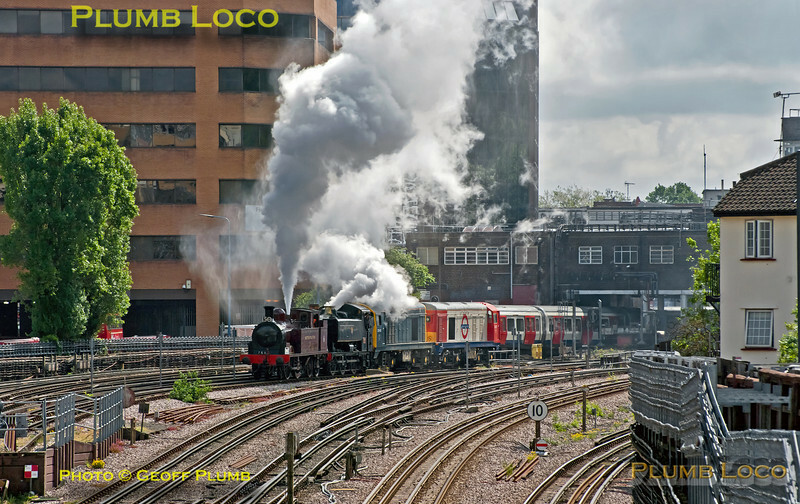 The locos then had to set back into platform 4 before reversing again to make their way to Amersham ready to "ring the changes" on haulage of the following special trains. 10:22, Saturday 25th May 2013. Digital Image No. GMPI15581.